Thirty years after it began, Metroport Rotary is still making a difference in our local and international community. Metroport Rotary has been part of the Southlake, Westlake, Trophy Club and surrounding communities since 1988 as this corner of the DFW Metroplex has experienced dramatic growth and progress. It’s amazing what we can accomplish when hearts and minds work together. While we have historically been small in number, our club members have produced out sized changes to the world around us through their devotion to service and community. Metroport Rotary has partnered with and supported numerous local organizations, including the Roanoke Food Pantry, Metroport Meals on Wheels, and the North Texas Polycystic Kidney Disease ("PKD") Chapter, just to name a few. 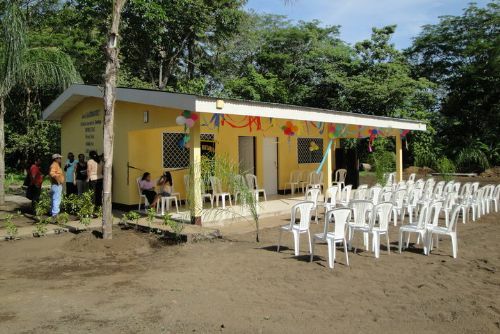 Our members have travel abroad, partnering with fellow Rotarians, to build a medical clinic in Chinandega, Nicaragua. We have also provided dictionaries and medical supplies to communities in Mexico. Back home, we are also proud supporters of our youth. We have hosted multiple youth exchange students from foreign countries and supported sending American youth abroad through Rotary International's youth exchange program. Also, through our Metroport Rotary Charities foundation, we have awarded over a quarter million dollars in scholarships to worthy high school students from our communities. While our future has not yet been written, you can be sure Metroport Rotary will always be a valued partner in our local and international community.